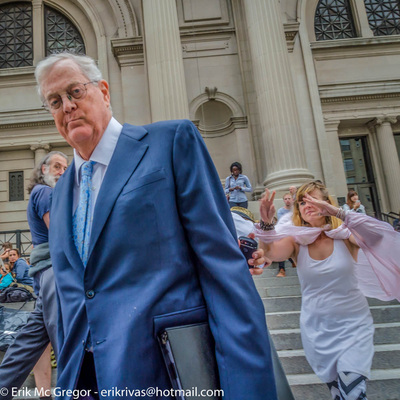 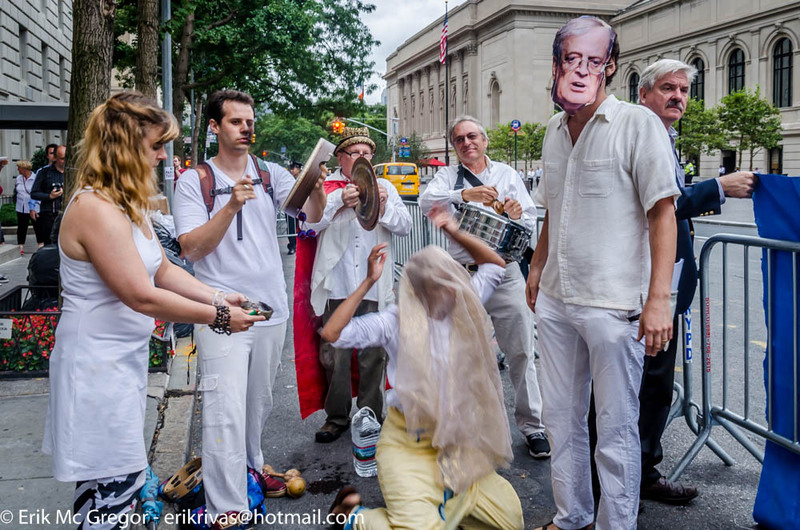 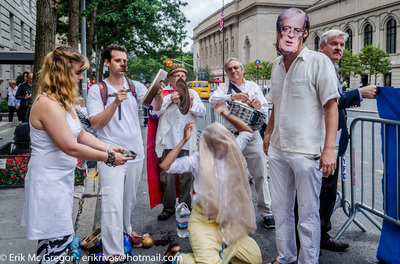 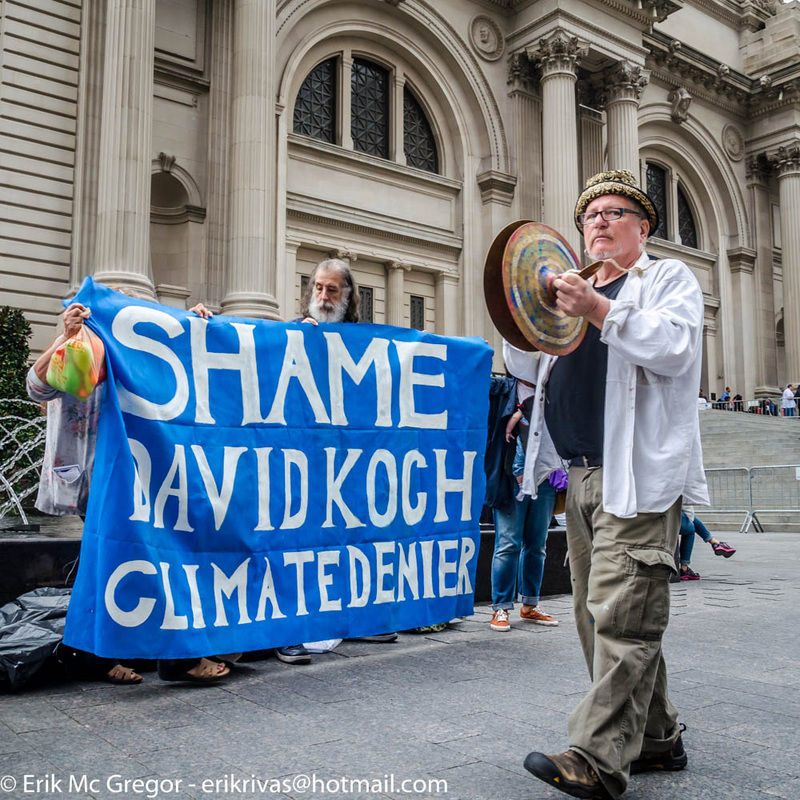 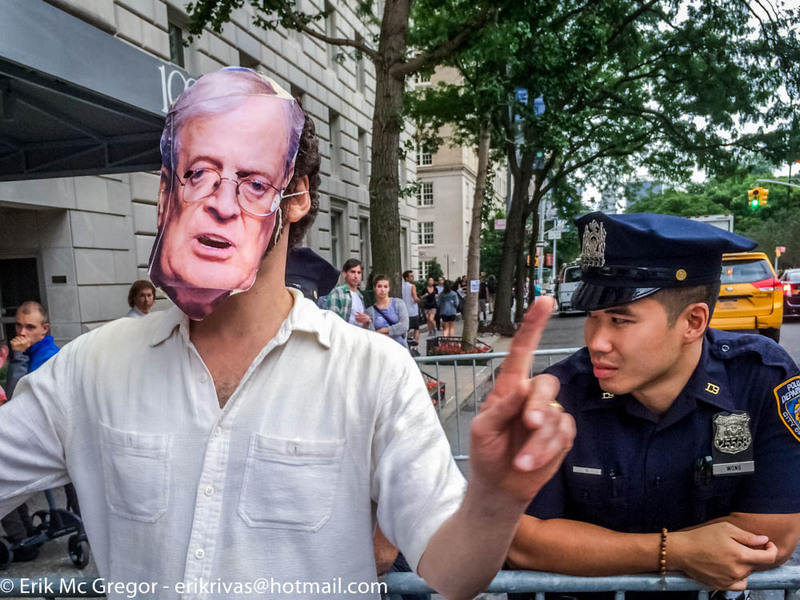 As the world prepares to converge on NYC in a mass call for Climate Justice, the Metropolitan Museum of Art will honor David H. Koch, a 4-star general in the dirty energy industry’s war against planet earth. 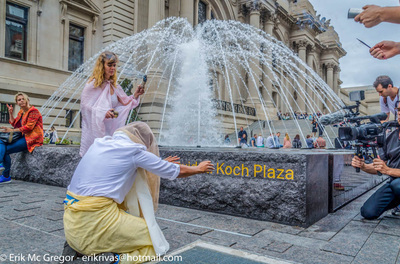 The public space and two grand fountains in front of the Met’s facade will be renamed as the David H. Koch Plaza, following an extensive renovation. 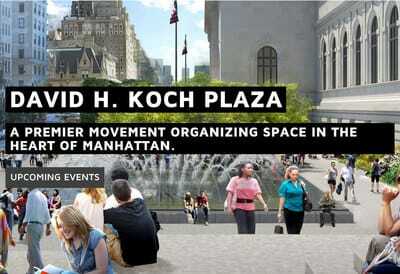 The people will be present at the dedication on Tuesday, September 9th to stand in resistance. The celebration of this philanthropic abuse of the commons cannot pass unchallenged. 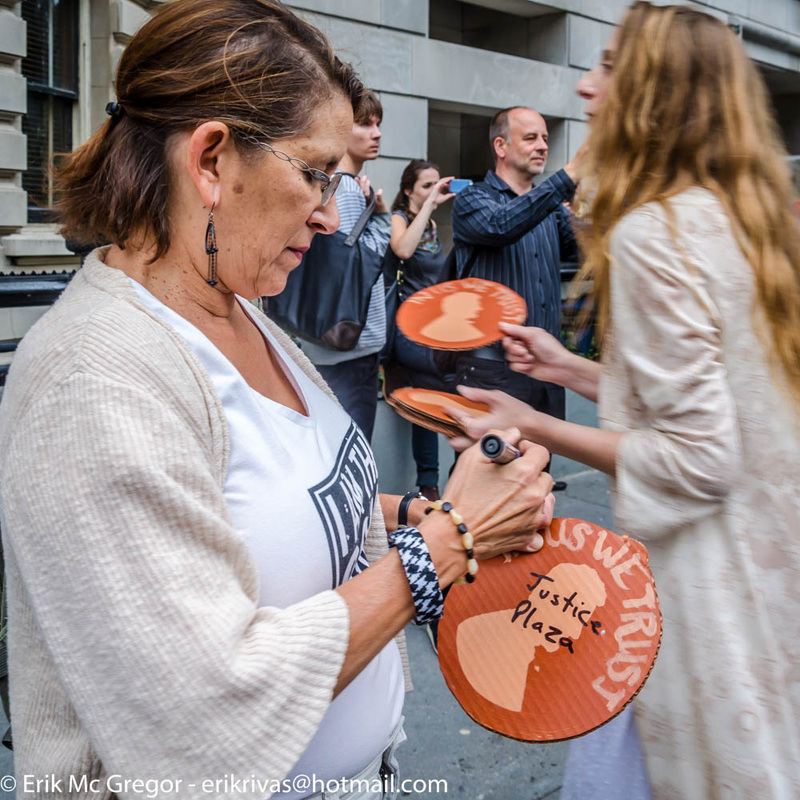 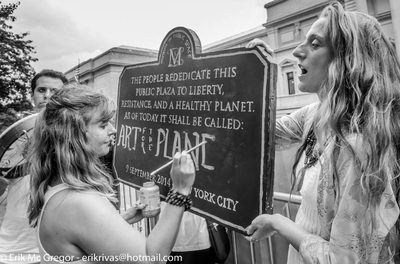 People are rallying to demand sustainable policies for our culture and the ecosystem. 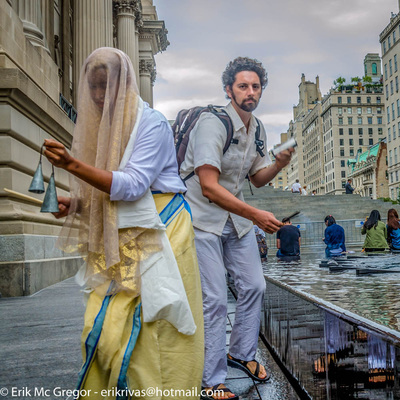 These fountains are boiling. 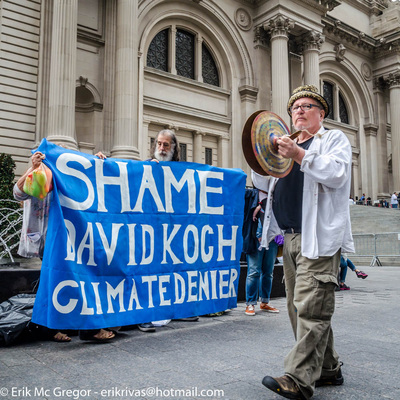 The policies of The Patron contribute to the melting of the ice caps and the rising of the seas. 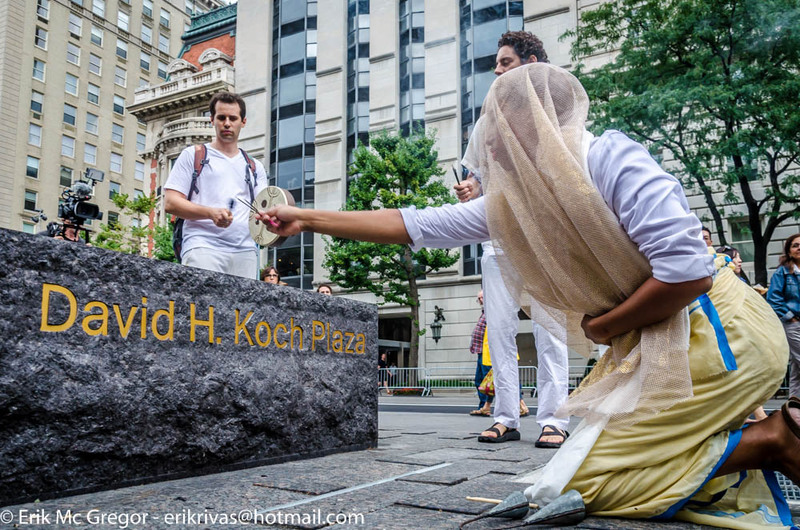 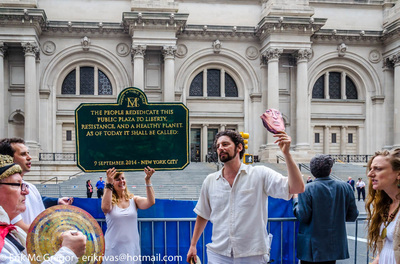 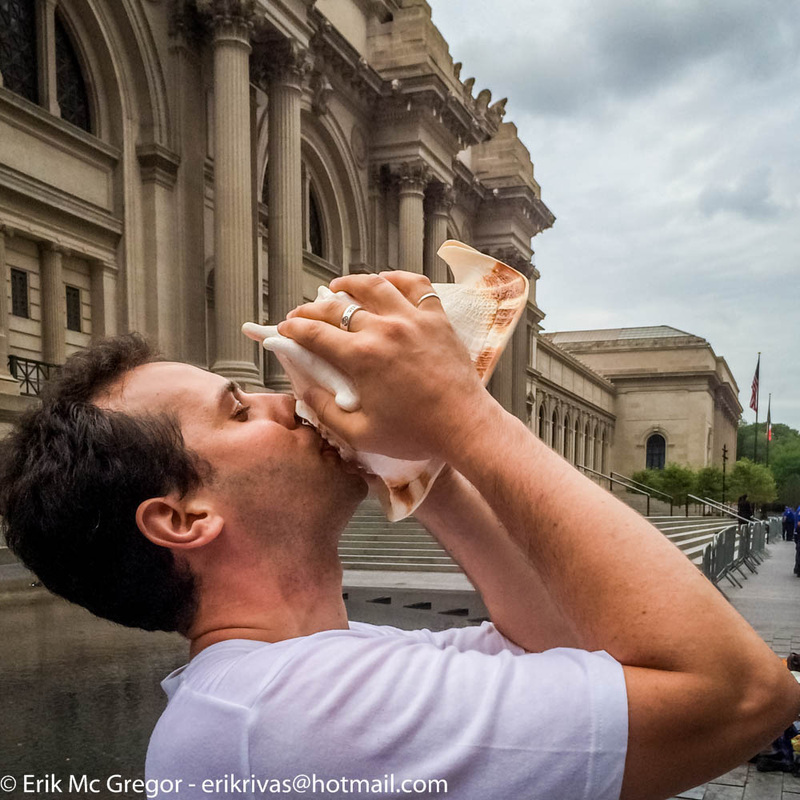 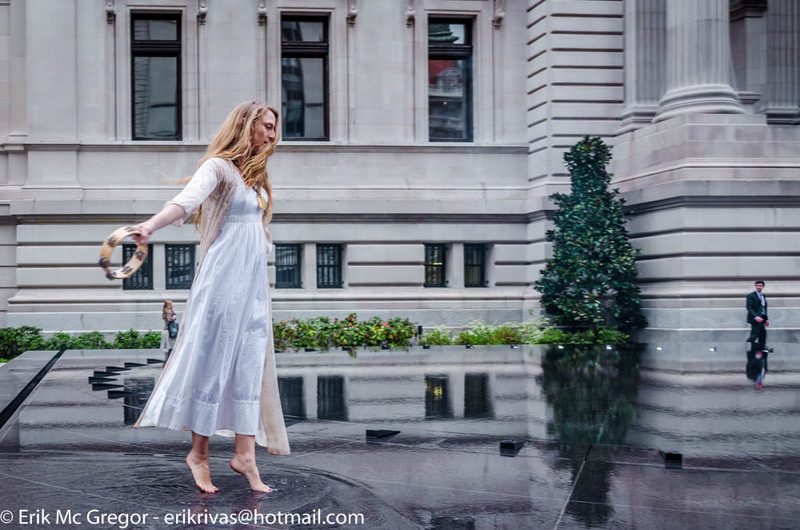 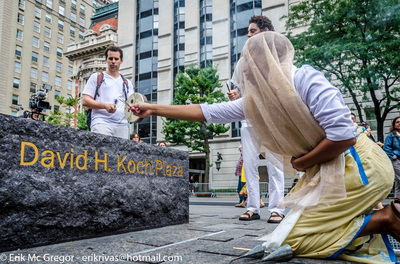 We invite you to join a ritual cleansing of the Place Formerly Known As David H. Koch Plaza. 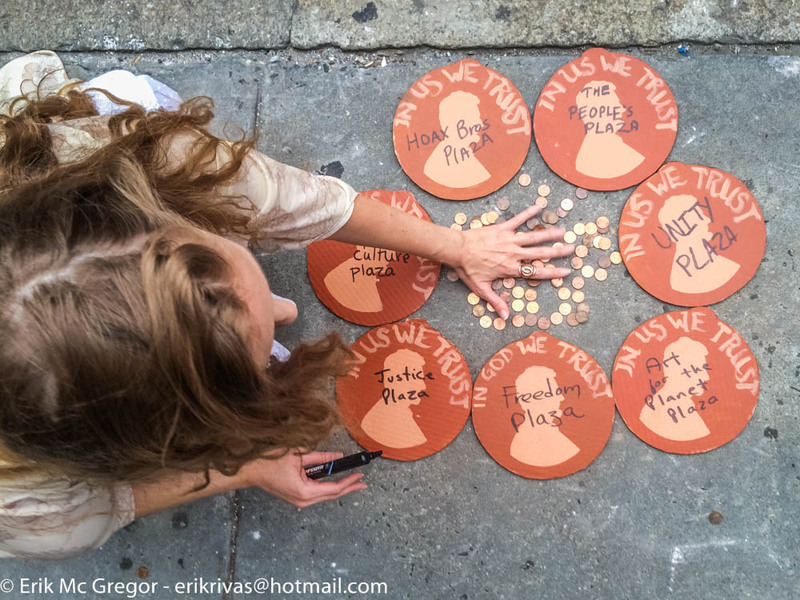 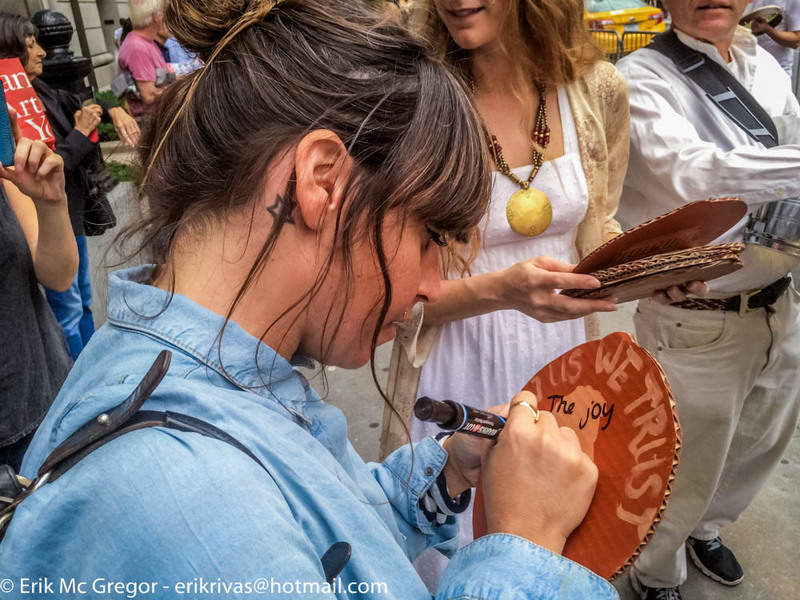 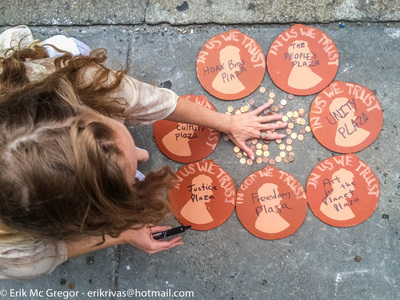 In a durational ceremony, we will call upon the energies of resistance, chanting and making offerings, and will collectively rename and rebrand the Plaza. 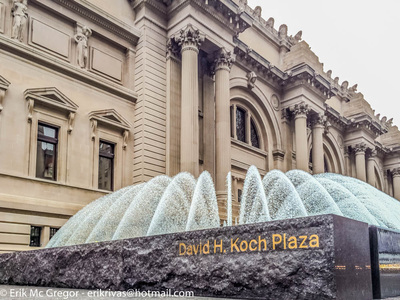 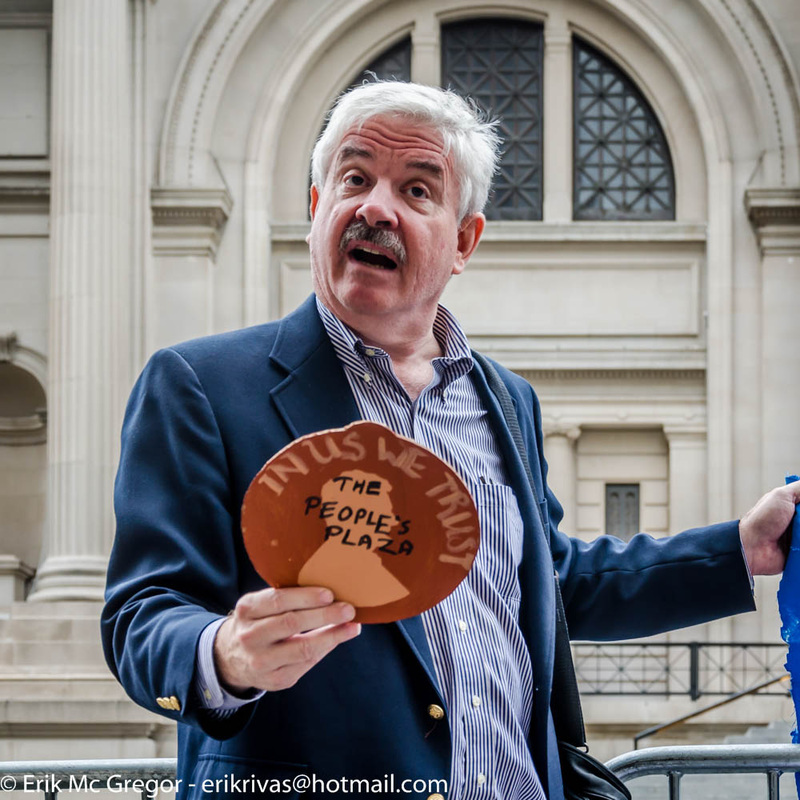 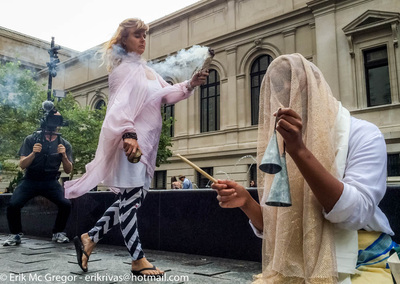 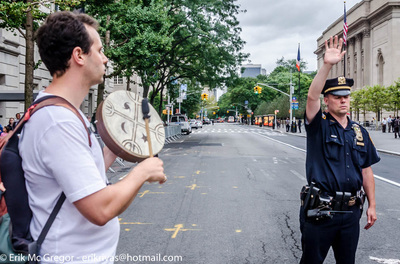 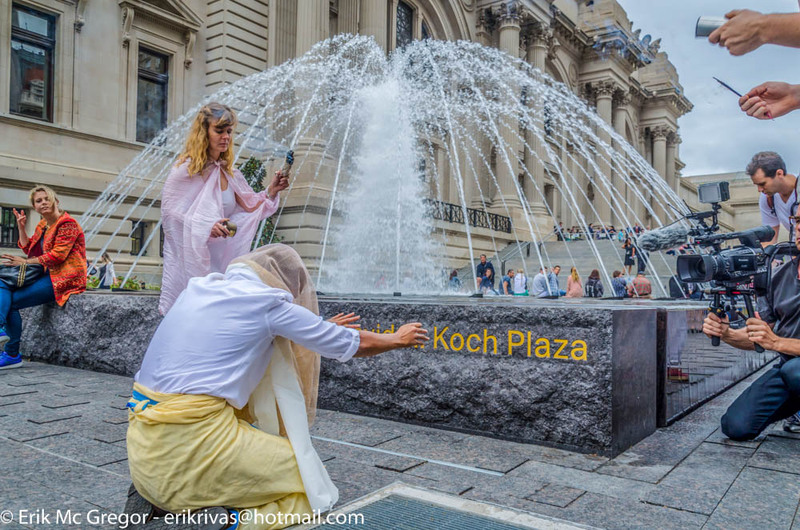 Hyperallergic "In Response to Controversial Funder, Protestors Rechristen Met Museum Plaza"
BloombergBusiness "Museum Dinners for Koch, Pete Peterson: Scene Last Night"
Artforum "​Protesters Denounce Met Museum’s New Koch Plaza, Activists Detained"